He usually takes time to ensure he interacts with his fans. But Liam Payne appeared a tad tense as he was spotted signing autographs after the MTV EMAs on Sunday night. 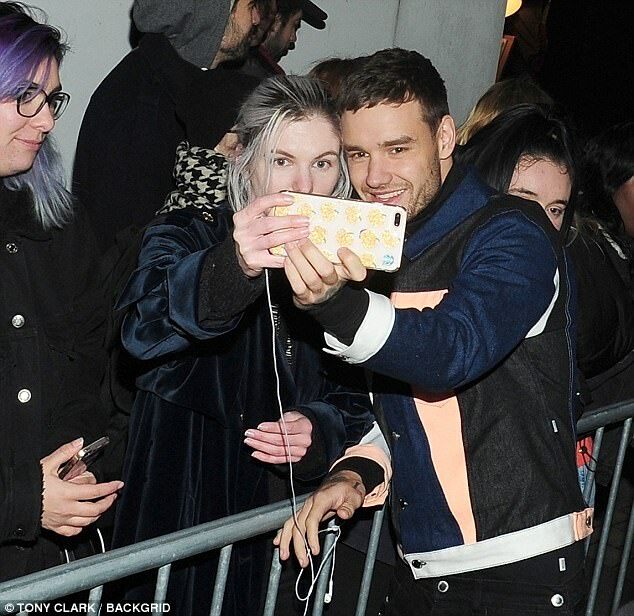 The former One Direction star, 24, was posing for selfies with his devotees as he left the event in London, before his mood appeared to change. The singer looked like he put his hands up in a defensive gesture as a bodyguard stepped in. A representative for the star has been contacted by MailOnline. However, one thing that could have possibly riled the polite pop star was the fact that his girlfriend Cheryl's ex-husband was also spotted at the event. French restaurateur Jean-Bernard Fernandez-Versini was one of the famous faces who headed to the afterparty at Tape nightclub, alongside the likes of Cheryl's fellow X Factor regular Nicole Scherzinger and Demi Lovato. Jean-Bernard and the former Girls Aloud singer, 33, were married for 18 months, between July 2014 and October 2016, when their divorce was finalised. She went on to begin dating Liam in late 2016 and they welcomed their son, Bear, in March. Earlier in the night, Liam looked like he was having more fun as he left fans in hysterics after being videoed falling on his bum during an attempt to impress Stormzy at the MTV EMAs. Grime superstar Stormzy took to his Instagram stories to share a clip of himself racing the 24-year-old singer on a skateboard while backstage ahead of their performances at the show. Liam did not get the result he was hoping for, however, falling off the board only a few seconds into his backstage journey at London's SSE Arena.